Gov. 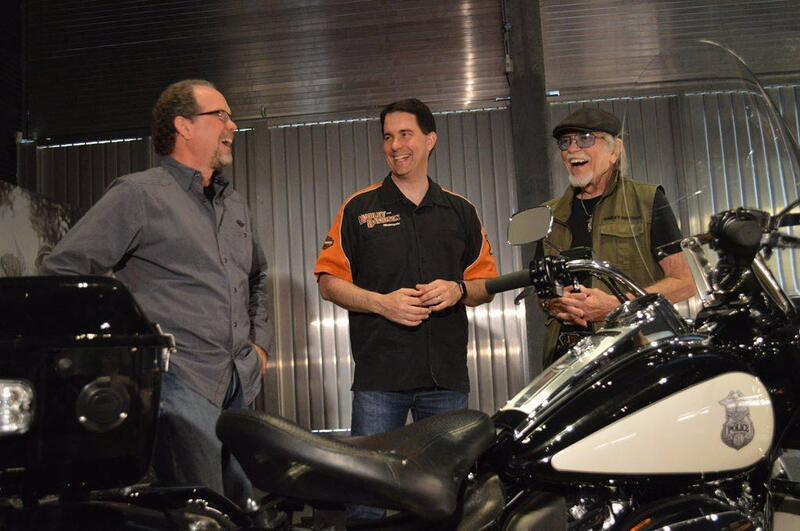 Scott Walker visiting the Harley-Davidson Museum. Photo from the State of Wisconsin. The iconic Milwaukee-based motorcycle manufacturer recently announced it would be moving some production abroad because the European Union raised tariffs on American-made motorcycles from 6 percent to 31 percent. The increase was in response to earlier tariffs on European steel and aluminum imposed by GOP President Donald Trump. Meanwhile, Sartori cheese exports will see tariff increases of 15 percent to 25 percent. Between January 2010 and December 2017, campaign contributions from Harley-Davidson and Sartori totaled about $69,000, including about $54,250 to Republicans and about $14,775 to Democrats. Republican Gov. Scott Walker tops the list of Harley and Sartori contribution recipients, accepting about $45,100 between January 2010 and December 2017. Jon Richards, a former Democratic state senator and lieutenant governor candidate, $1,000. Sartori Foods president James Sartori, of Plymouth, $7,725, of which $3,950 went to Walker. I don’t see the concern – how much, for instance, does the WI Realtors Association spread around? It’s not so much a concern as an irony. For their contributions to Trump, both companies got a more difficult business climate and H-D got attacked. Seems consistent with what we know about Trump’s business practices. Saw your sorry excuse of an interview on the channel 12 app. That. Your not worthy of him gracing your crime ridden city. Right Bruce. When the hell are people going to learn. It’s like they are waiting for Old Faithful to gush beer. Ha Harley! Got yours for contributing to nasty donnie now didn’t you. Harley has more significant problems than tariffs. Like decreasing interest by what might have been a next generation of customers. Even lowering the price 10 or 20% wouldn’t make a difference. Am I cynical to suggest H-D is using this as cover to shift blame from their deeper problems? And tariffs benefit some, not others. Others have had their time in the sun and the economy is shfting. A ‘more difficult business climate’ for some, not for others. you know there’s always companies that make pothole fill. Milwaukee is a huge market for them! Barrett: a nice guy! Just out of curiosity, why not hold Barrett to the same scrutiny you do Walker? Or actually ask what the hell is going on in City Hall?That would seem to be more UM’s ‘Mission’.